Those are SO COOL! 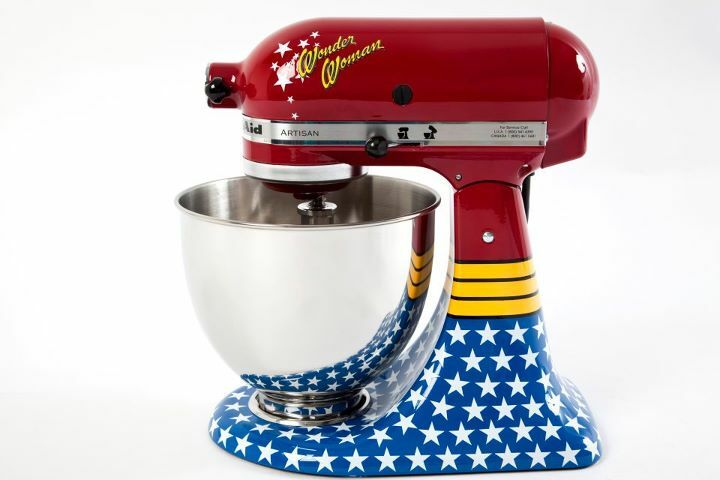 I have a steel grey one that I would marry if I could, but man... that Wonder Woman one is fantastic. Maybe a Batman mixer?? I'm sure Batman makes lots of cakes. 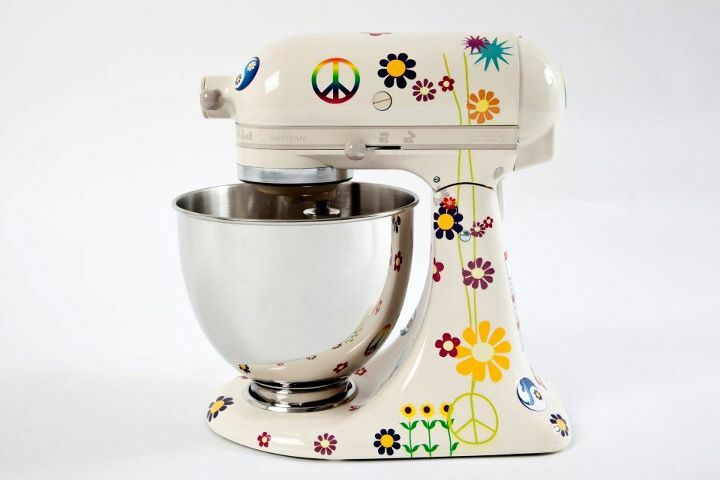 I like the Wonder Woman one, too, but think the peace and flower edition is the one for me. 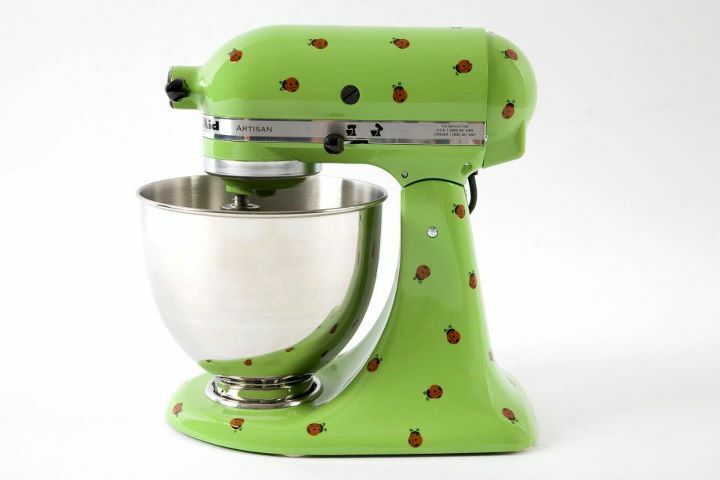 Is there anything wrong with collecting KitchenAids to decorate my kitchen?! Is it possible to purchase one of these from a website? 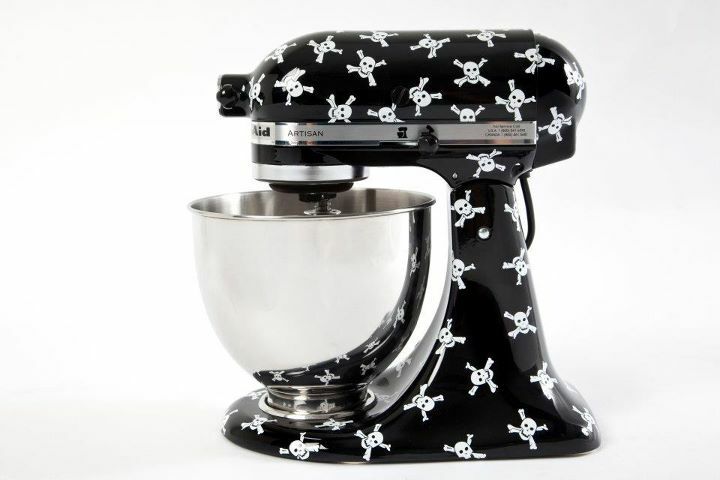 Good news, there are a couple of options for customizing your stand mixers! You can decorate your stand mixer with decals - flames, cow spots, butterflies, roses, chili peppers, even a fighter plane face! You can also take your stand mixer to an auto body shop and they can give it a custom paint job (they know how to work with power coating). If they had an X-Men one I'd be at the airport yesterday.